This level has medium difficulty. 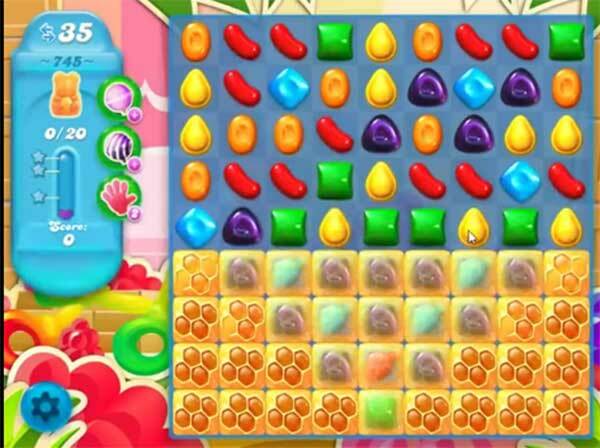 For this level try to play more from the bottom to shuffle the candies as it will help to get more chance to make special candy plus will break candies automatically. After play near to honey blockers or use special candy to break the honey blockers to save the bears. So this level isn’t too hard, however, it is difficult to get to the corner honey, and the fish never go to those, and if you’re lucky you’ll get a purple candy combo, but few and far between. Also, can get some good boards, but as you’re running out of moves you can’t get any matches. This has happened several times!!! When this loads it says Super Hard Level, and it is. Can’t get to the corners. Any suggestions would be appreciated.